Posted: October 2, 2016 12:09 p.m. 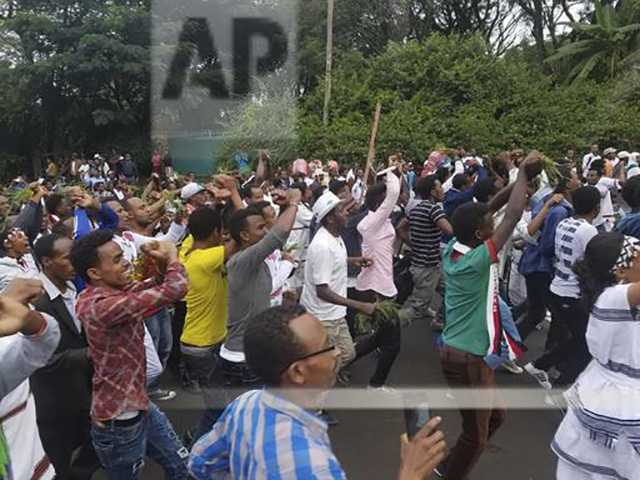 Updated: October 2, 2016 12:09 p.m.
BISHOFTU, Ethiopia (AP) — Dozens of people were crushed to death Sunday in a stampede after police fired tear gas and rubber bullets to disperse an anti-government protest that grew out of a massive religious festival, witnesses said. A body count at hospitals showed at least 52 dead, an opposition party member said.